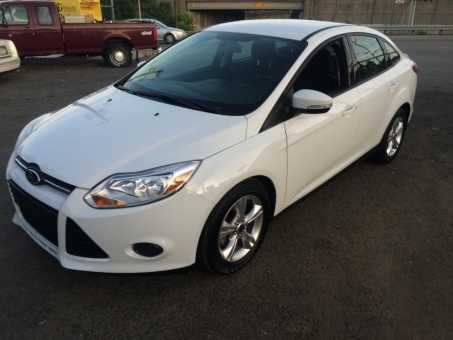 2013 Ford Focus Se 4dr Sedan (2.0L 4cyl ) with White Exterior, Black Interior. Loaded with 2.0L I4 DI Engine, 5-Speed Automatic Transmission, Cloth Seats, AM/FM/CD Audio System, Air Conditioning, Power Windows, Power Door Locks, Wheels an16 ich alloy rims and many more. This Ford Focus runs and drives like new! It rolls smooth and straight down the road. It starts and drives perfect, it does not miss a beat!